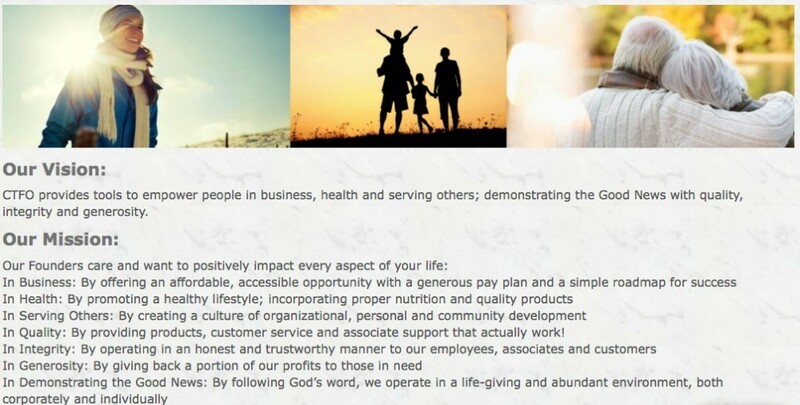 / My CTFO review – read this before signing up! My CTFO review – read this before signing up! Let’s start from the beginning with some basics. I should say right now that I once an Associate of CTFO. I am no longer as Associate, and I’ll explain more about that in a little while. CTFO stands for Changing the Future Outcome. 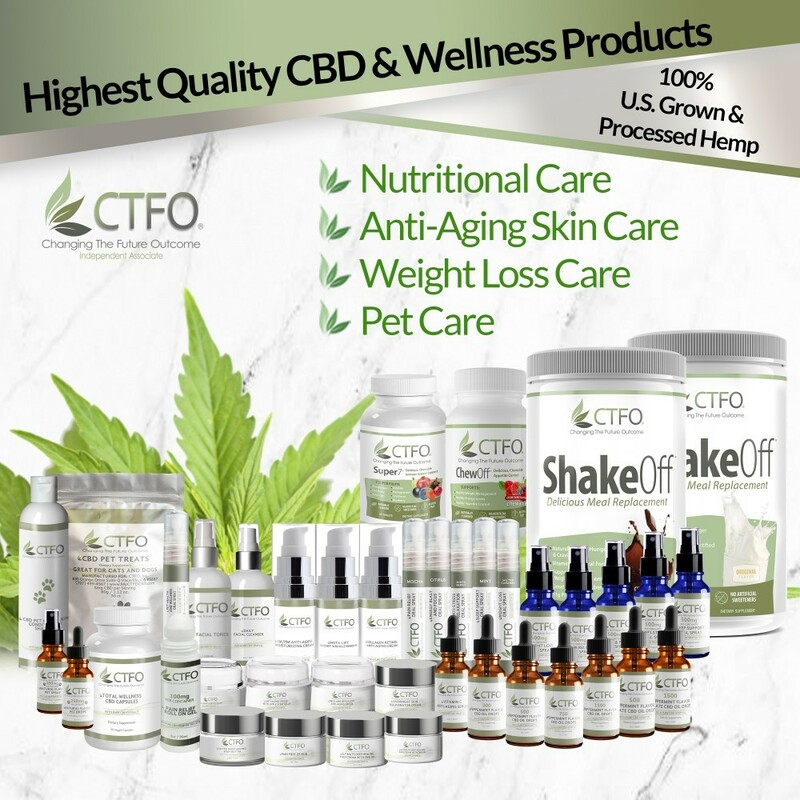 CTFO is a network marketing business that sell CBD (cannabidiol) products. CTFO was founded by Stuart Finger. Stuart has a track record in the MLM (multi level marketing industry since 1989. Stuart’s brother Steve is CEO and President of CTFO, and the two have previously partnered on successful business projects together. Information about them both is available on their site, together with bios about the Chief Operations Officer, Treasurer and Secretary Michael Kahn; National Training Director Steve Sakal; and General Manager Meagan Harris. Most network marketing companies pay their executives impressive salaries, and as such charge a premium for their products. What is the CTFO product line? CTFO CBD products utilise CBD Isolate oil, as well as the full spectrum cannabis plant mixed with hemp seed oil. The CTFO CBD oil is made from non-GMO, pesticide free, CO2 extracted hemp oil using only organic ingredients. It important you understand that the CBD Isolate Oil contains no THC. It is the THC that makes you high – there is no THC in these products. The full spectrum oil gives a high potency of CBD while maintaining over 120 other cannabinoids, all of which have additional healing benefits. A 60-day money back guarantee is offered on each of CTFO’s products and product packages on the purchase price paid, less any shipping and handling fees. Since the legalisation of CBD, more and more medical practitioners are speaking up about the benefits of CBD. I believe that CBD is going to be a game changer in the medical world, and it’s already starting to have an amazing impact. This is wonderful news for people who can benefit from the products, and it’s also great news for people who want to generate an income from home, or increase their income from home by becoming involved. This is an opportunity waiting for you to take hold of it and make this a business that can grow over time, IF you like the MLM model and are comfortable with that. I know that MLMs are not everyone’s cup of tea. They certainly aren’t my cup of tea. I much prefer affiliate marketing. It is free for you to become a CTFO Associate. That means you can share the opportunity with others, and make income as a result. You also don’t need to purchase products in order to become a CTFO Associate, although of course it is wonderful if you do so that you experience the products firsthand. However, it is not a requirement of becoming an Associate. One of the reasons I am no longer an Associate is that whilst you are not required to purchase the products, there really is an expectation that you will auto ship them on a monthly basis. So for anyone who lives in a country where you cannot purchase CBD Oil (like where I live), you are going to find it hard to be successful. The compensation plan is also geared towards you purchasing the products yourself. I also really realised very quickly that I just don’t like the MLM model. It does not gel with me in the slightest, and I was tired of seeing all the spammy social media posts from people trying to flog their various CBD products. But that’s just me. If MLMs are your thing, then I CBD is a great way to go. It is free to sign up to become an Associate and if it turns out it’s not for you, you haven’t lost anything. The quality of the CTFO products is excellent. More than 67% of the current CBD products on the market that have been tested don’t contain the amount of CBD or other ingredients that their labels say they do. CTFO products do. All CTFO products are manufactured in the USA in a registered GMP facility. GMP stands for Good Manufacturing Practices, and refers to a system of manufacturing practices that is regulated by the U.S. government and guarantees reproducibility of product quality to verifiable specifications. This means that the federal government has verified that you’re getting what you’re paying for because they have confirmed that what’s on CTFO labels is in the products. The ingredients are on every label. They are also available listed on the website, here. And, it doesn’t cost anything for you to become an Associate. HempWork will charge you $20 to sign up as an affiliate. CTFO could be one of an opportunity for you to earn some extra cash without any outlay. Can I make money with CTFO? Is CTFO legit? CTFO is absolutely legitimate. Associates can earn money whilst also knowing that the products are improving people’s lives. Products are currently available in the USA, Canada, England, Scotland, Wales, Northern Ireland, Ireland and Sweden. CTFO plan to open up in more countries soon. The CBD market is a brand new, emerging market that is experiencing explosive growth. CTFO is at the forefront of that explosion so there are a lot of rules and regulations that are being developed, and will continue to be developed in the foreseeable future. All CTFO Associates automatically qualify for a payout of 20% of the Commission Volume on Wednesday of the week following any order. That means that any orders placed by any personally enrolled Customer or Associate that occur between Monday and Sunday of any week get issued to the CTFO Enroller on Wednesday of the following week. Additionally, there are no personal purchase requirements to receive this 20% commission and there are no caps or limits to how much you can earn during any qualifying week. Any commissionable sales that occur during any given week qualify for the 20% CV commissions that are issued the following week. Associates can purchase products at wholesale prices, and sell for the retail price, resulting in approximately 30% profit on sales. Associates automatically qualify for the 1st Level of Unilevel Level Pay simply by signing up with CTFO as an Associate. There is no other qualification required for the 1st Level of Unilevel Pay and the amount paid is 20% of the CV of any product and/or package purchased by a personally referred or enrolled person. The 2nd, 3rd, 4th and 5th Levels of Unilevel Pay all pay out 4% each of the CV amount of any product and/or package purchased by anyone on any of those Levels. This equals a total of 36% (20%+4%+4%+4%+4%) of the total CV amount that is paid out through the Unilevel Pay. This level has copyrighted profit sharing positions. This level has the ‘top gun pool’. I won’t go into the detail of the plan here because it does get a bit complicated. Unless you’re an absolute gun in the MLM space it is likely not to apply to you – it’s really reserved for those at the absolute top. Please leave me a comment or a question and I'm always happy to help. Have you been part of a CBD MLM? What was your experience?